Why Do Agents Take Overpriced Listings? Looking to buy or sell a home in San Diego County? Click here to perform a full home search, or if you're thinking of selling your home, click here for a FREE Home Price Evaluation so you know what buyers will pay for your home in today's market. You may also call us at (858)-375-4949 for a FREE home buying or selling consultation to answer your real estate questions. Today we are going to discuss one of the most impactful conversations we had on our show on 600 KOGO, Sundays from 9-10a.m. This is going to be a huge time saver for you, especially if you're thinking of selling your home. The question we discussed was, "Why would an agent knowingly take an overpriced listing if they know it's not going to sell?" This is about giving you the truth about how the real estate industry operates. 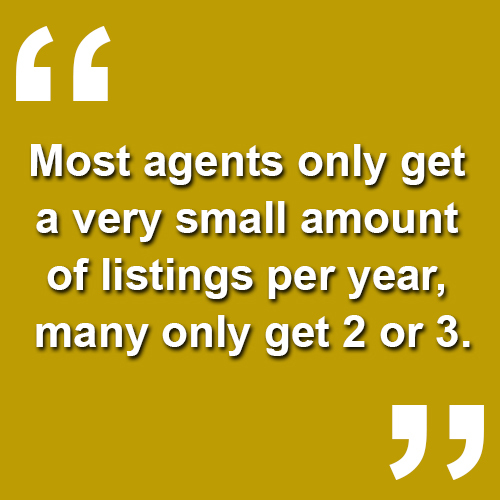 Most agents only get a very small amount of listings per year, and many only get 2 or 3. When they have the opportunity to sit in your living room and get your listing by telling you your home will sell for $50,000-60,000 more than it's worth, it becomes tempting for the agent to get their sign in your yard, which is their goal. Why is this their goal? What's going to happen is someone will drive by, see the home, and call the number. Now the agent listing your home has a buyer lead they can contact about your listing and others. Then, a neighbor will see the sign and call, and now they are in touch with a seller lead. The way online lead generation works is that on a site like Zillow, when an inquiry on a property comes to the site, the agent can receive the buyer's contact information for a small fee. An agent can literally do 2 or 3 sales simply by having that for sale sign outside of your home even if it doesn't sell. It's not that hard to spot someone doing this.Look at market statistics. If you're told that your home will sell for $100,000 more than a similar home, then you have to ask yourself if it's too good to be true.